So, practically everyone on the internet is talking about Google Chrome right now, and I'm writing this article using it. My findings are that it's really fast to use, the interface although slightly weird in the blue hue makes sense with it's simplicity and tabs being above the address bar, and the install was a dream. Also, simply count how long it takes to load - faster than Firefox, faster than IE (which is preloaded in part by Windows) - it's lighting fast! What's really cool about this article is that it gives you an inside story on the development of Chrome, who the developers are and why it was built. 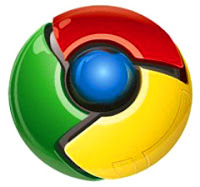 Whether you like Chrome or not, it can only be good news for the browser market. Yes, as a web developer I now have another browser to worry about (although it is based on WebKit like Safari, so perhaps minor differences? ), but having such a major player hit the market with a browser offering will force all others to raise their game. Unlike the introduction of IE8, Chrome is now my current default browser. You are right Dan with a brand name like google people are soon gonna want to want there apps working on Chrome , but i reckon it will be more consistent across versions unlike IE..